Three new reports, released today by a diverse group of industry stakeholders, identify best practices, barriers and opportunities to support the development of zero-carbon, all-electric buildings, a critical low-cost strategy that can help California tackle emissions from homes and buildings, the state’s second largest source of climate pollution. The three reports, California’s Building Decarbonisation Opportunity, Rate Design for Building Electrification, and Strategies and Approaches for Building Decarbonisation, follow the California Public Utility Commission’s (CPUC) release of a draft Order Instituting Rulemaking (OIR) on the issue of building decarbonisation. The PUC will address the OIR at a meeting on 31st January, as it prepares to implement SB 1477 - the first legislatively mandated building decarbonisation bill in the country, authored by Sen. Henry Stern (D-Canoga Park), that will grow the market for clean, low-emission heating sources in new and existing homes and buildings. “Taken together, these papers show that by implementing a robust series of actions in California to support building electrification, we can slash emissions at the least cost to consumers” said Panama Bartholomy, director of the Building Decarbonisation Coalition. 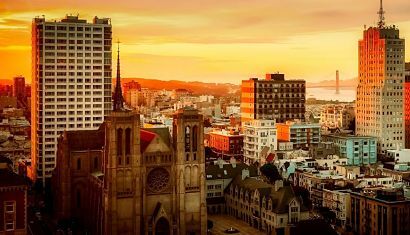 “To hit our climate goals, 50 percent of new space and water heating in California’s buildings must be electrified by 2030, moving to 100 percent by 2045. We need a long-term strategy across regulatory bodies in California to drive down costs and quickly grow consumer experience with low-emission technologies”. Alejandra Mejia Cunningham, one of the report authors, added that the passage of SB 1477 and AB 3232 was an important step towards creating 100 percent emission-free communities through clean, all-electric homes and buildings. As the CPUC develops the policy framework to guide implementation, the authors hope they will incorporate the recommendations of these papers - adjusting rates to send optimal price signals, investing in market development and workforce readiness and implementing a range of cross-sectoral strategies to support building electrification. California's Building Decarbonisation Opportunity highlights recent modelling by the California Energy Commission, showing that a decarbonisation strategy that relies on building electrification will save consumers billions of dollars compared to other carbon reduction strategies. The report identifies significant barriers to electrification for consumers and the workforce - including upfront costs, workforce readiness and regulatory tools that don’t account for the full suite of benefits of decarbonisation. By adjusting key rate design levers, the PUC can send additional price signals to customers that will help them integrate zero-emission appliances into their lives in ways that reduce costs for all Californians, according to the second brief, Rate Design for Building Electrification. The report recommends addressing baseline allowances, providing optional time-of-use rates that reward off-peak electricity use, and revisiting high usage charges for residential customers. The third report, Strategies and Approaches for Building Decarbonisation, highlights best practices from across the nation that will help guide California's implementation. “By incorporating best practices to cut building emissions, California can pursue zero-emission buildings in a way that upholds our values - with a focus on affordability and equity, supporting workers, and creating a positive experience for consumers” added Mejia Cunningham. These reports are the first in a series of papers and policy guidance from the Building Decarbonisation Coalition. The group will release a Policy Roadmap to guide California decision-makers early next month. The Building Decarbonisation Coalition unites building industry stakeholders with energy providers, environmental organisations and local governments to pursue fast, fair action that accelerates the development of zero-emission homes and buildings in California. Through research, policy development, and consumer inspiration, the BDC activates strong leadership to help California cut one of its largest sources of climate pollution, while creating safe, healthy and affordable communities.